David was first introduced to watercolour painting at the age of 16, but as the years progressed, so did David's enthusiasm towards three-dimensional art and he began experimenting with metal. After producing his first metal sculpture in 2009, a 6ft flaming dragon, he was hooked!!! Many of David's sculptures are created from mild steel, however, he has also refined his craft to using everyday scrap metal objects and welding them together like pieces of a jigsaw to produce unique sculptures and striking wall hangings. David rarely sketches out his ideas first, they mainly evolve from found objects such as nuts, bolts, pliers, spanners and of course knives and forks. 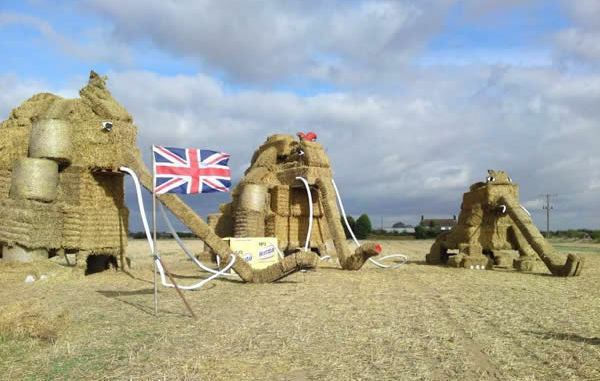 In 2009 David's straw bale Mammoths gained 1st place in a National Wheat Art competition run by Weetabix. The Mammoths could be seen on the back of Weetabix boxes all over the country. 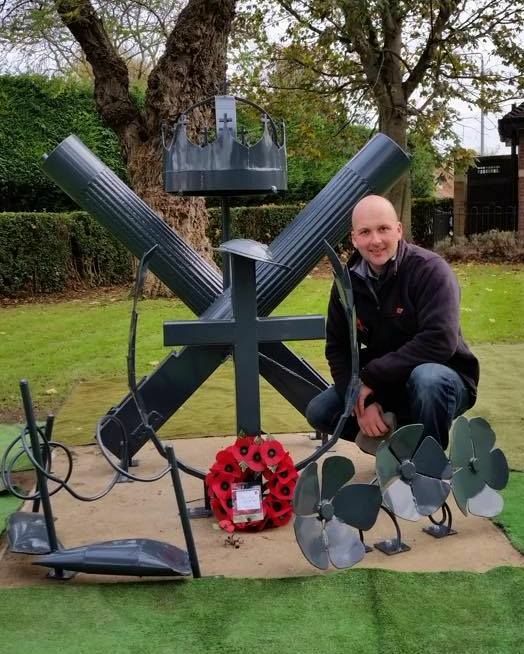 In 2014 David was commissioned to produce a World War 1 memorial in his home town of Grantham. The sculpture, which is designed by Daniel Fay features two guns, a crown and a religious cross with a soldier’s hat representing different aspects of mourning and memorial.